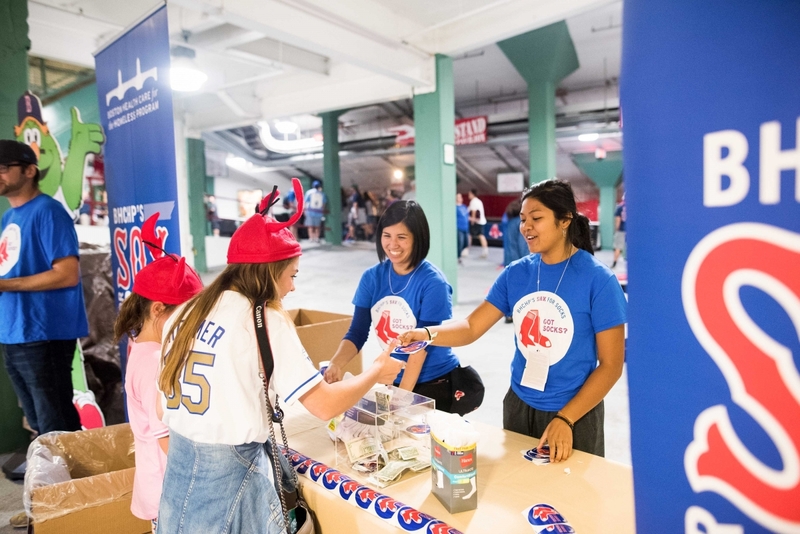 Since 2005, the Boston Red Sox have invited BHCHP to Fenway Park for a weekend for our annual Sox for Socks campaign collection drive. 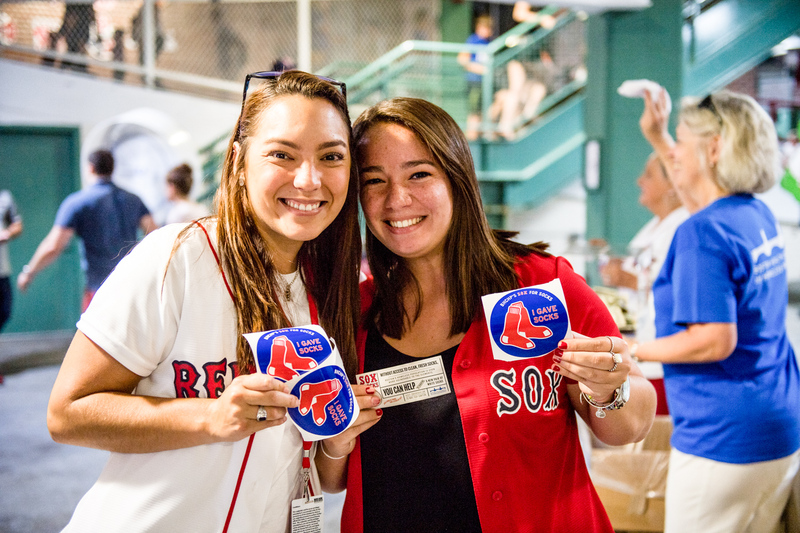 Each year, the Boston Red Sox serve as the lead sponsor of the Sox for Socks campaign and encourage fans to bring new white cotton socks to support our patients. 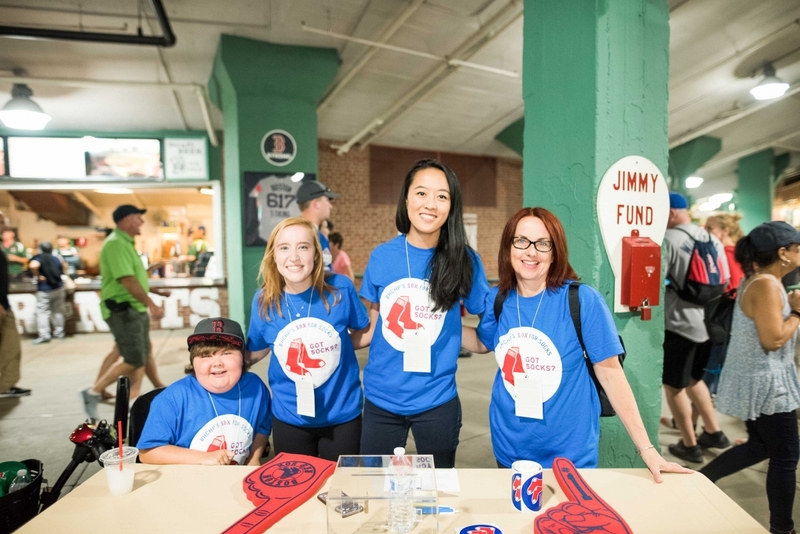 We are thrilled to announce that our 13th Annual Sox for Socks weekend will take place at Fenway Park Friday, June 22nd - Sunday, June 24th, 2018. If you plan to attend a game that weekend, please consider bringing new, white socks to any gate at Fenway Park. Look for the Sox for Socks volunteers just inside all five gates! With help from the Red Sox, countless people throughout New England now know that access to shoes and socks is often limited for men and women who are homeless and living in shelters and on the streets. Special thanks to the Red Sox Foundation, NESN, Gentle Giant, and all of Red Sox Nation for your support! We’ll see you at Fenway Park June 22-24!